INTRODUCTION: Welcome to the nineteenth issue of TMAD News, the page in the newsletter to keep you up to date about Mal’s work as our Community Minister. As usual Mal has continued to support all three churches in various ways, led worship on several occasions and represented the pastorate at various meetings both locally and regionally. FOUR YEAR REVIEW: The review of Mal’s post took place in September, it was a positive experience, many thanks to all those who contributed to the discussions. As you’ll be aware the purpose of the review is to determine whether the post is continued for a further five years from November 2019, we will know in early February as to the outcome. Explore places where the Fly Tipping Monster construction created by the schools can be displayed. Produce a resource pack mainly produced by children which will include; a set of posters highlighting dangers/issues of concern, a set of matching badges, a Logo window sticker, a CD of raps which will also be on the posters and an information/guidelines leaflet. Christmas fairs/teas, Carol services, the Christingle Service at Revidge Fold, Christmas Tree Service at Westbury Gardens, and a Christmas Lights switch on with Carols on Romney Walk with the Romney Voice Residents Association. This years Advent Bible Studies Led by Mal will take place on Wednesday evenings 28th November and 5th, 12th, and 19th December, 7.30pm – 9.00pm at Revidge Fold. The theme of the studies is “Come and Worship” and uses the verses of that popular Christmas carol, ‘Angels, from the realms of glory’ and its invitation to ‘Come and worship Christ the new-born king’ to explore such themes as our understanding of angels, the role of the shepherd in the church, wisdom and what it means to be a saint. We can get over-familiar with our favourite hymns, carols and worship songs, to the point here we forget the real meaning of the words we are singing. So, it’s good to take time and look in a little more depth at the words we sing, and the picture they paint, relate them to Scripture and see where they might take us! PRAYER BREAKFAST: The next monthly prayer breakfast will take place on Saturday 22nd December, 19th January and 16th February at Revidge Fold at 9.15am. NOTE: There will be no Christmas Day Services at Trinity or Westbury Gardens this year, there will however be a service at Revidge Fold led by Mal starting at 10.00am and all are welcome. To find out more about TMAD or get involved please contact Mal on 01254 674862 or speak to any member of the steering group. Watch out for other activities in the notices, in the meantime have a joyous Christmas and a Peaceful New Year. National Citizens Scheme (NCS) Once again we had a group of NCS students come to Westbury Gardens. This year they organised a litter pick and fun day with a BBQ, various games and a penalty shootout. The event was enjoyed by all who took part. HOLIDAY CLUB: This took place from 6th – 10th August when the theme was, ‘Waste Watchers’ based on John’s Gospel. We explored the wonder of God’s creation, the wonder of Jesus to transform lives and how we can care for and transform the environment around us. The setting was a rubbish tip which accumulated more rubbish each day to highlight the issue of litter and fly tipping following on from the fly tipping project involving the schools. 28 children attended through the week and 27 volunteers helped in various ways on a rota basis. Many thanks to all those who got involved and helped make it another great success. Activities included games, various crafts, Bible stories, food of course and a daily visit from Rover, one of Mal’s puppets, they even managed to turn a paper aeroplane into a Cross and turn water into wine. Each craft activity followed the theme of recycling which included making ‘Dusty Bins’ (remember 3-2-1) and Panda Puppets (WWF logo) as seen in the photographs. A great time was had by all. Our fourth Pet blessing service was once again a great success even though we had to hold inside due to the weather. This also picked up the theme of the environment and Eric Howorth (Mr Music man) who leads the sing-a-long at the memory café and organist at Revidge Fold wrote three new songs for the occasion. These were accompanied by the worship group from Revidge and a pastorate choir both of which really enhanced the singing. Noah also put in another appearance. Watch out for other activities in the notices. you up to date about Mal’s work as our Community Minister. This continues to go well and grow. Recent activities have included a presentation by Jimmy O’Donnelfrom Lancashire Memories who brought along old items which many of us have used in years gone by as well video clips of past TV programmes and songs, making an Easter garden and decorating our Easter tree, making bread chicks, and a Royal theme quiz. Mal and Elizabeth Bradley also led a session at the URC Local Preachers conference at Northern College. This again was a great success and raised £228 towards Mal’s work in the community across the three churches. Thanks to all those who came along and had fun. As reported in the last issue this is a new project working with various agencies, housing associationsand schools to tackle the issue of fly tipping in the area through education, awareness and practical involvement. 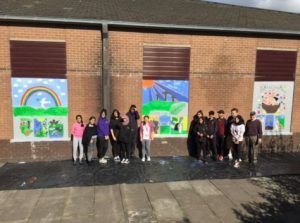 It is now taking shape and all the pupils who took part in designing the art work have received a certificate and the winning entries received a trophy and a voucher to go trampolining at Flip It. A structure depicting the Art Work will now be built and erected near Romney Walk/North Road with the centre piece being a Fly Tipping Monster. INTERNATIONAL VEGETARIAN EVENT: As many of you will know this took place at Revidge Fold on bank holiday Monday in partnership with the Inter Madrassah Organisation. It was very well attended and there was a great atmosphere. Mal made a vegetable lasagne and there were a variety of Asian foods and other foods available for people to try for free. PRAYER WALKS: Once again Mal is organising a series of prayer walks round the communities of our three churches and these will take place as follows. Westbury Gardens, Wednesday 13th June. Revidge Fold, Wednesday 25th July. Please support them if you can, they are an important part of our Prayer life and Mission to the communities we serve. Details of where to meet on each occasion will follow and all will start at 7.00pm and end at 8.00pm. on 01254 674862 or speak to any member of the steering group. Happy Pentecost and thanks for your continued support. INTRODUCTION: Happy New Year and welcome to the fifteenth issue of TMAD News, the page in the newsletter to keep you up to date about Mal’s work as our Community Minister. CHRISTMAS: This was a very busy period as usual with all three churches holding Christmas Fairs and services and Mal was able to support all three in various ways as well as leading worship on several occasions especially during the Advent and Christmas period. He has also represented the pastorate at various meetings. both locally and regionally and took part in the CTNB Advent Service at St. James on the 1st Sunday of Advent. On Christmas Day he led worship at Westbury Gardens. MEMORY CAFE: As a result of the success of the Memory Café and the wider interest it has generated Mal and Elizabeth Bradley were invited to have a stand at a Dementia seminar run by Lancashire Fire Brigade. This took place at their training centre in Chorley in December. During their lunch break they were able to talk to various officers involved in Dementia awareness across the brigade and make contact with other agencies. It was a very worthwhile event to go to and the buffet was very good too. They have also been invited to go over to Warrington to talk to a group of URC churches and talk to an agency in Ashton to share our experience of setting up and running a Memory Café. MESSY CHURCH: The Christmas Messy Church held at Shadsworth Junior School was very successful with over 30 Children including parents attending. The theme was ‘Following in the Footsteps of Jesus’. Activities included everyone drawing round their foot, cutting them out and sticking them on a large map of the route Mary and Joseph took from Nazareth to Bethlehem. They also played games, made stick puppets and watched a video, oh and of course there was food. All who attended had a great time. prayers they provide an opportunity for us to spend a quiet reflective time towards the end of each busy month to bring our concerns for individuals and situations to God. We then share breakfast together of cereals and toast etc, those who attend find them very helpful. ALL ARE WELCOME. CTNB QUIZ NIGHT: On Friday 9th February Mal is organising a Quiz Night on behalf of Churches Together in North Blackburn @ Revidge Fold staring at 7.00pm. The cost is Adults £3 Children £2 Including refreshments. See posters for more details. All are welcome. EASTER HOLIDAY CLUB: Easter will soon be here and the next main event Mal is organising will be the Holiday Club which will take place from Monday 26th – Thursday (inc) 29th March. Volunteers are again needed to help run this event and there will be a planning meeting on TUESDAY 6th March 4.00pm @ Westbury Gardens. If you feel you can help out in anyway please contact Mal as soon as possible. GOOD FRIDAY: Following on from last years enjoyable day Mal is organising another trip over to Tockholes after the Good Friday Service and then returning to Blackburn for a fish and chip supper and quiz (venue for this to be confirmed along with more details). All those who came last year had a great time so why not join us and have fun. INTRODUCTION: Welcome to the fourteenth issue of TMAD News, the page in the newsletter to keep you up to date about Mal’s work as our Community Minister. It’s hard to believe that Mal has now been with us for three years, starting his ministry here on 14th November 2014. Since then a lot has been achieved as we have journeyed Together to Make A Difference. These achievements have been well documented through his reports and these pages in the newsletters which we hope you have enjoyed reading. FIRST MONDAYS GROUP: John East was the speaker at the November meeting and gave a very interesting talk about his father during the war which was well received. They are holding their Christmas lunch on Monday 4th December and a programme for 2018 has been drawn up. New members are always welcome. MEMORY CAFE: Members have been busy making things to sell on their stall at Revidge Fold Christmas Fair on 2nd December including bird boxes, gift tags, table decorations, candle holders and decorating tumblers. The group is becoming very well known and respected by various agencies who refer people to the café which means numbers are growing all the time with over 20 guests accompanied by an appropriate adult attending each session. Unfortunately the It’s-a-Knockout held during October half term didn’t go as planned with only 2 children attending. We did however play some of the games as planned with the helpers from each church forming two teams and having fun and one elder remarked “that yes it was disappointing the numbers were low but it turned out to be a very good team building exercise”. Thanks to all those who gave up their time to help. PRAYER BREAKFASTS: These take place on the third Saturday of each month 9.15am @ Revidge Fold, they are a PASTORATE event and numbers continue to grow including people from Accrington and Blackburn Baptist Church. They are a valuable part of our prayer life and an opportunity to take time out for personal reflection. All who come along get a great deal out of them. TMAD REVIEW: The review of Mal’s post by the URC mentioned in the last issue went very well, they were very impressed and inspired by what we doing here together. FAMILY CHRISTMAS QUIZ: Mal is organising a Pastorate Family Christmas Quiz 7.00pm @ Trinity on Friday 15th December. For more information about this please see poster and separate leaflet giving more details of how you can take part. Then there’s all the Christmas activities taking place in each of the three churches during the coming weeks which Mal will be supporting. watch out for more details! INTRODUCTION: Welcome to the thirteenth issue of TMAD News ( period Aug/Sept 17), the page in the newsletter to keep you up to date about Mal’s work as our Community Minister. Its been a really busy and exciting summer so this issue is a bumper one in order to cover everything that’s been happening. FIRST MONDAYS GROUP: At the September meeting Mal gave a talk on his and Lorraine’s holiday to Costa Rica in 2007. This was well received. MEMORY CAFE: This continues to go very well with new members joining at each session. (Lena will report more on this in the Pastorate pages). 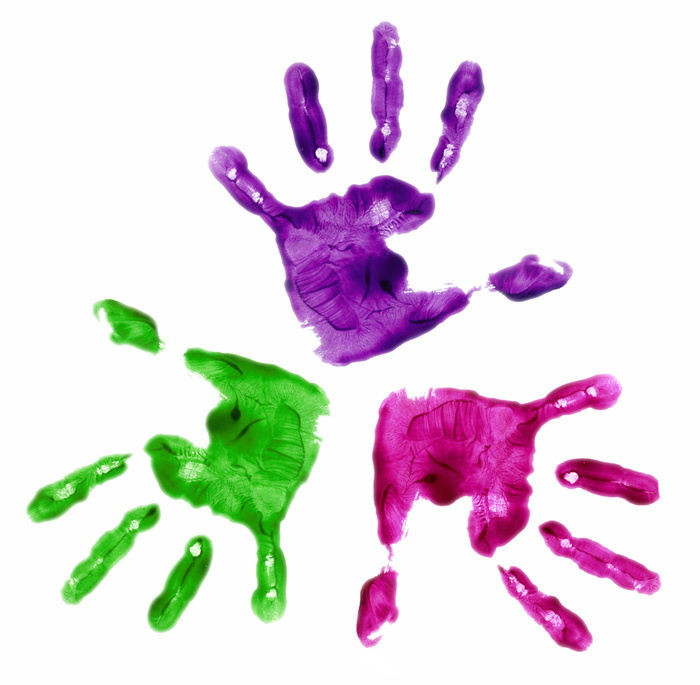 SUMMER HOLIDAY CLUB: This took place from Monday 7th to Friday 11th August. The theme was based on John Harding’s Razzamatazz Robots. 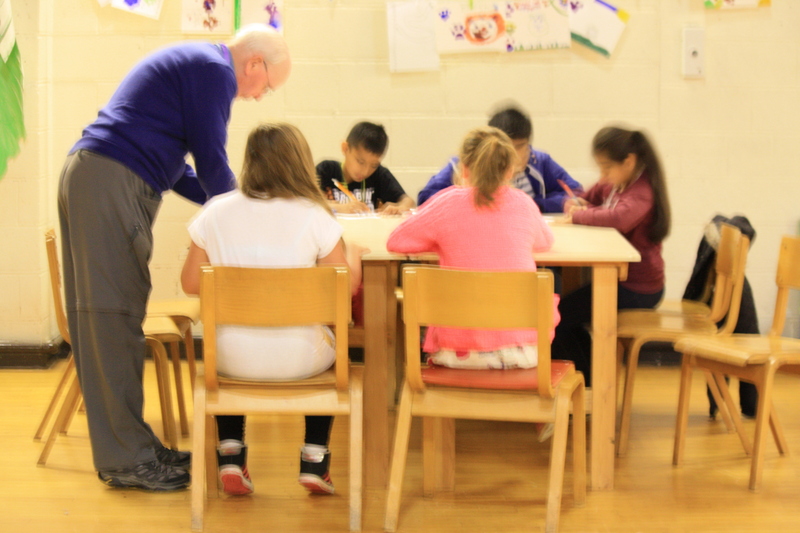 During the five days the children explored the creation stories as recorded in Genesis, through stories, videos, songs, puppet sketches, crafts and games. Each day the children and some of the leaders made various crafts including Robot Masks and Visors, Prayer chasers, Robot waistcoats and Robot Puppets. On the Friday they dressed up in their outfits and gave a presentation to the parents/guardians who had been invited to come along for a cuppa and find out what their children had been doing. Also during the week each group made a section of a giant robot which was put together as the picture below shows. Mal wishes to thank all the volunteers from the churches and the community who helped out in various ways before and during the event, it couldn’t happen without you. Our 3rd annual Pet Blessing Service was held on the Sunday following the holiday club at Westbury Gardens. Once again it was a great success with more people attending this year but a few less pets. We did however have several photographs of pets and a box containing the ashes of a Hamster which was a first. Those who attended enjoyed singing several action songs, hearing and taking part in the ‘Noisy Noah’s Ark Story’. A display of artwork depicting birds recently done by Intack Primary School was also on display and once again the weather was very kind to us. Mal and Lorraine performed a puppet sketch ‘People Need the Lord’ putting into practice the new skills they learned in July when they attended a puppet ministry training day in Bolton. As reported in previous issues Westbury Gardens have been exploring ways in which to improve the outside of their building. Well, during the summer this process began with the aim of transforming three blocked up windows at the rear of the church . By working in partnership with a group of young people from National Citizen Challenge (NCS), the Art and Craft Group which meets at Westbury Gardens and members of the church a cunning plan was devised, the aim was to design a Biblical mural for each window. With that briefing the young people took us through an impressive process during two 2 hour sessions of coming up with ideas and then turning those ideas into artwork. All sorts of ideas were suggested but the three we settled on were ‘Creation’, The ‘Easter Story’ and ‘Parables’. Once this process was complete photographs of the artwork were taken and transposed onto each window by Mal using acetates with an overhead projector. Then on the Saturday before the pet service those involved completed the process by painting them and the results are below. I’m sure you will agree that they have made a huge difference. It was an exciting project to be involved in and gives opportunities for the area to be used in many different ways. Please support these Prayer activities if you can. They form an important part of our churches prayer life and are a witness to each community. Happy reading and watch out for more details! Welcome to the twelfth issue of TMAD News (period Aug/Sept 17), the page in the newsletter to keep you up to date about Mal’s work as our Community Minister. Mal has continued to support all three churches in various ways, led worship on several occasions and represented the pastorate at various meetings both locally and regionally. The first Mondays Group summer BBQ at Westbury Gardens was a great success. Apart from enjoying the food, those who attended enjoyed taking part in two quizzes on food and past TV programmes. The Art and Craft Group at Westbury Gardens on a Monday morning is growing in numbers. They are working towards putting together an exhibition around Harvest, which will be displayed in the church. The exhibition will be open to the public to come in and see their artwork throughout the week following the Sunday service on 1st October. New members are always welcome from 10.30 – 12.30. Mal recently attended a Puppet Ministry training course in Bolton to help him develop the use of his puppets in worship, school assemblies and at the holiday clubs, so watch this space, you never know when a puppet may appear. Mal and Elizabeth Bradley along with two people who attend the memory café at Revidge Fold led a workshop at the Synod Big Day Out event in Southport. It turned out to be a very popular. It was so popular in fact that people had to be turned away, which shows how important the issue of Dementia is to the churches and the growing need for us to find ways of responding in appropriate ways. All three prayer walks have now taken place. Because of the weather Trinity’s ended up being a virtual walk in church. Mal will be arranging 3 more walks in the autumn. These walks are a very important part of our outreach and mission. They are not only a visible presence in each community they are important in developing our prayer life. They are also integral in getting to know the communities and keeping us focussed on discerning what God is calling us to do in our part of His kingdom. Work has already started to improve the outside appearance of Westbury Gardens by volunteers from the community. 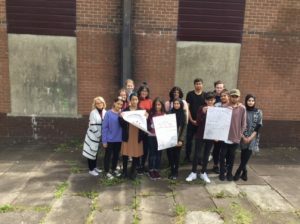 Over the next few weeks two groups group of young people from the National Citizen Service organisation will be coming to… a) create a nature garden at the top of the car park and b) paint murals on three bricked up windows at the back of the church and create a story telling area. Exciting times are ahead. This is taking place from Monday 7th to Saturday 12th August. The theme this year is going to be Razzamatazz Robots. During the six days the children will be exploring the creation stories as recorded in Genesis, through stories, videos, songs, crafts and games. Our 3rd annual Pet Blessing Service will follow this on the Sunday 10.30 at Westbury Gardens. A display of artwork depicting birds recently done by Intack Primary School will be used during the service. Mal still needs volunteers to help run the holiday club and if you can help out in any way please contact Mal as soon as possible. Mal is exploring with the Elders at Revidge Fold and Trinity ways in which he can more involved in their respective communities. Again there are exciting times ahead for us all.